I have recently embarked on a major research project into the history of the Worthing Glasshouse Industry. Started by the pioneer growers such as George Beer in the 1870s, who built the first large commercial glasshouses, the industry flourished in the town and became the main glasshouse growing centre in the country. The industry was important to the local economy for over 70 years, until it gradually declined as the expanding town absorbed all the old nurseries in its relentless growth. By the 1960s, the vast majority had closed. I am very lucky that David Abbott, official historian of the West Sussex Growers Association, has joined me in the project and we recently held an exhibition of some of our ‘discoveries’ at Worthing Library (5- 19 March 2011). My interest in the history of the Worthing Glasshouse Industry naturally started whilst I was investigating the early history of the firm started by my great-grandfather, Arthur Linfield.1 Arthur was among the wave of pioneers who saw the obvious success of the early glasshouse growers in Worthing, but had the vision to exploit the technology on a much larger commercial scale. He was among several growers who entered the industry in the 1880s, not only to take advantage of the high prices that could be obtained for early produce, but also to exploit the surging demand for tomatoes, which were commanding very lucrative prices at Covent Garden. He built his first large nursery in Ham Road, and after making enough money to pay off his debts and purchase the land, he decided to expand further. 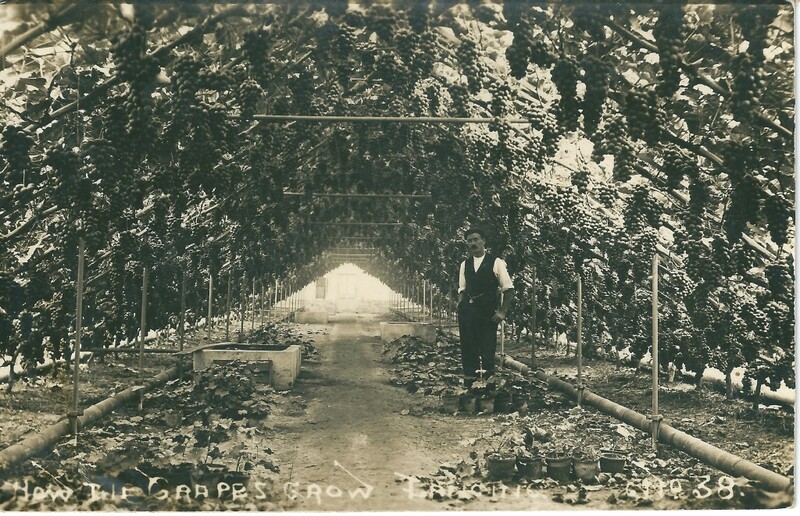 Arthur eventually had four nurseries in East Worthing, the main crops being grapes and tomatoes. Mushrooms were also grown from the earliest days, mainly as a catch-crop beneath the grape vines. In 1913, he bought a dilapidated dairy at Thakeham known as Town House Farm to provide work for his younger sons. Whilst researching the large scale OS maps (25in:1 mile) at Worthing Library, I was amazed at the full extent of glasshouse coverage in the areas in East Worthing and to the west of the town, especially around Durrington and Goring. These glasshouse areas were already quite substantial on the 1898 map, and even more so in 1912 after so many growers continued to expand to maintain their profits against ever increasing local and foreign competition. I began to wonder who was operating these various nurseries, and what had motivated the pioneer growers to start in the first place. 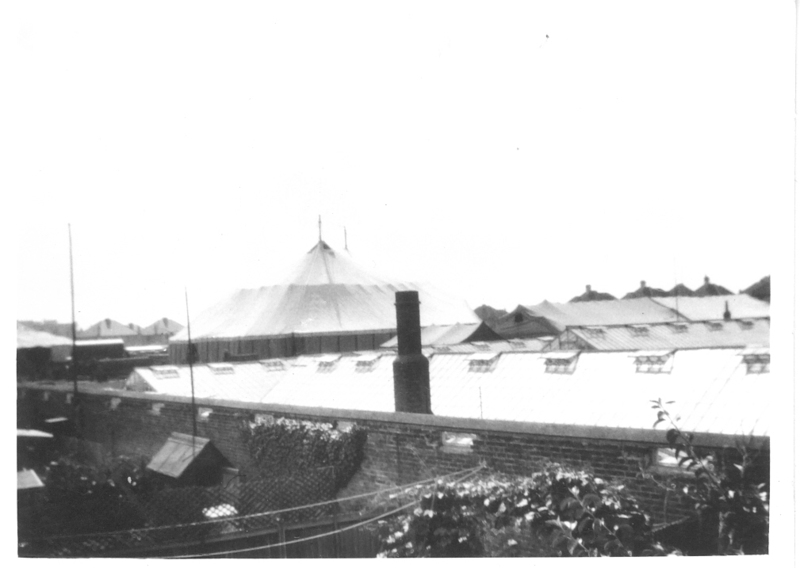 Since there has been little research into the history of the Worthing glasshouse industry, I decided that something needed to be done fairly urgently to collect photographs and memories before they are lost forever. My longer term ambition is to write a book on the subject, but the priority for the moment is to collect as much relevant information as I can and to research the archives. All the photos and other material will eventually be deposited in an appropriate local record repository where it can be suitably preserved. Figure 2. 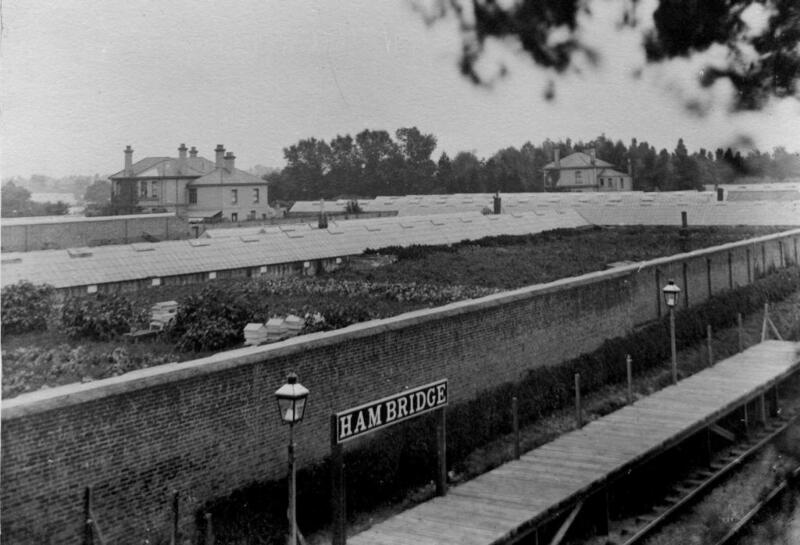 Facing south from the new ‘halt’ at Ham Bridge, is a panoramic view of AG Linfield’s Bridge nurseries, which also shows his family home, known as ‘The Laurels’. Further to the right can be seen the more extensive Ashdown Nursery which belonged to George Russell. His house is also shown. Both houses are facing the north side of Chesswood Road. We are particularly keen to acquire old photographs, memories and any family history of the growers. The scale of the task is quite daunting, as there were well over 200 different glasshouse nurseries operating during the heyday of the industry. I can really only hope to build up a picture of a representative sample, the detail of which will depend on the amount of information I am able to collect. 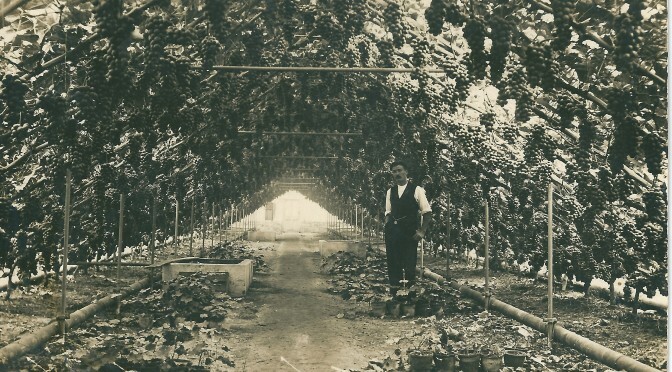 Many of the businesses operating in Worthing were small family concerns, with a small number of greenhouses, perhaps concentrating on grapes and tomatoes with chrysanthemums to fill the houses through the winter. The work was hard and the hours were long, but growing was ‘in the blood’ and the dedication to keep going often had more to do with the job satisfaction and loyalty to the previous generation than to the monetary rewards. By the 1950s/60s, with many growers reaching retirement age, and the increasing encroachment of the expanding town, more and more nurseries closed for redevelopment. When nurseries started to be built on in a particular road, it became more and more difficult for the remaining ones to hold out when the prospect of a more comfortable retirement loomed in front of them, especially after the pressure being exerted by the developers to purchase their land. Figure 3. Tarana Nurseries, Durrington. L to R Harry Stoner sen, his son Harry junior, and wife Mabel. These are some of the stories I have come across so far, and I am particularly grateful to all those people who have provided me with the stories of their family businesses: One of the typical small family run nurseries includes Stoner’s Tarana Nursery in Greenland Road, Durrington. Taken over by Harry Stoner in the 1920s, it had 3 or 4 glasshouses where they grew tomatoes, grapes and chrysanthemums. But a serious flood forced it to close in1959. Figure 3 shows the inside of one of the Stoner vineries. In East Worthing, 3 generations of the Lyon family ran Kempshott Nurseries on the south side of Brougham Road. Started by Andrew Lyon in 1893, it was closed and developed for new houses in 1965. What is very fortunate is that Andrew’s grandson, Andrew W. (Jim) Lyon was a keen amateur photographer who recorded so much of his own nursery and the whole area around Brougham Road – before it was covered with housing estates and factory buildings. Many of his photos were taken from his bedroom window to the north, and show a panoramic view of the nurseries on the other side of the road. In the 1930s, he experimented with colour slides and there are some fascinating colour photos taken in 1938. Figure 4 shows the view towards the South Downs, with Paramatta Vineries in the centre (run by the Burtenshaw family). Sompting Abbotts School, Sompting Church and the South Downs can be seen in the distance. There are many others showing views of different chrysanthemum varieties in the greenhouses. Fig. 5 shows another 1930s view, further to the right of the previous image. 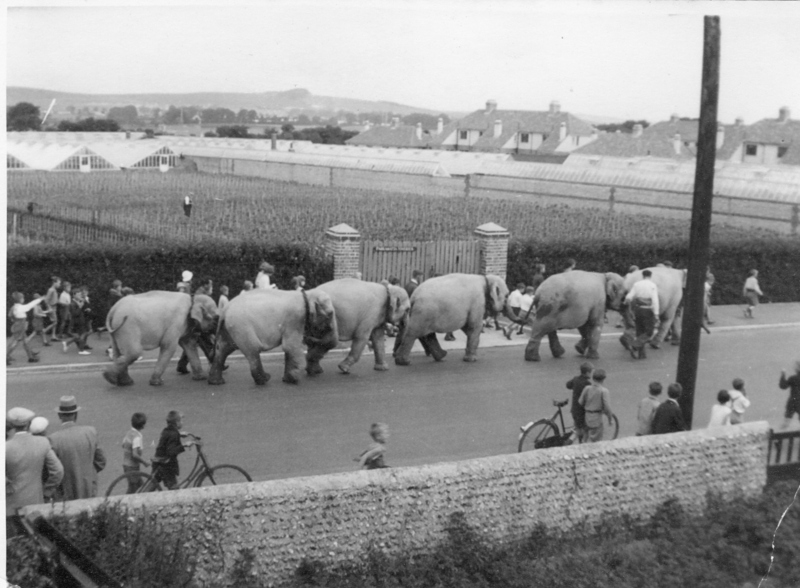 A procession of elephants is making its way to the large field on the eastern side of the nursery – for the annual circus and fair, which all the local people looked forward to. 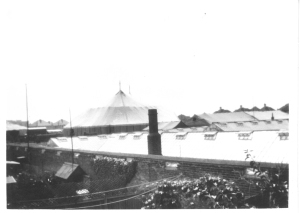 Figure 6 shows Kempshott nurseries from the back of the family home (No. 78, Brougham Road). The annual fair has been set up in the large field to the east of the nursery. The one beneath (Fig. 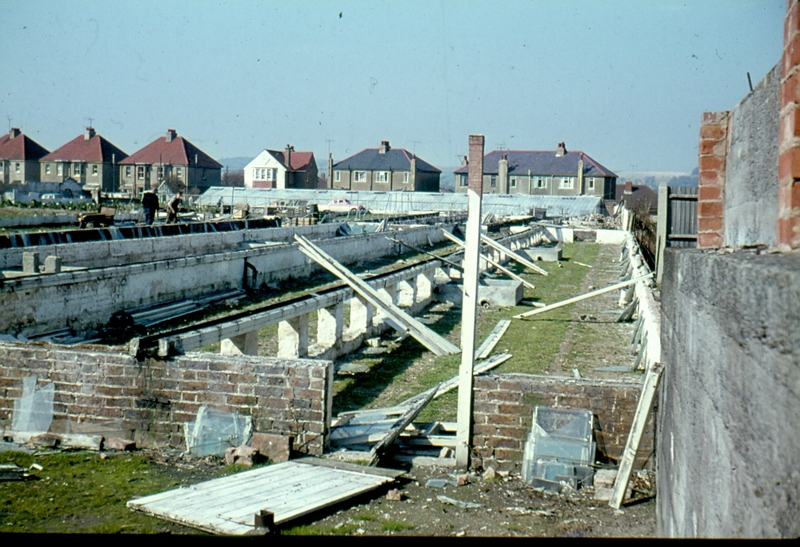 7) is a view taken when the nursery was dismantled in 1965. Such views are probably quite rare, but they are an important record of the final days of the industry in the town and it would be nice to find more. 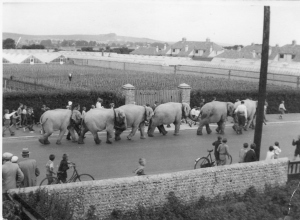 The Magness family have provided some fascinating information about their nurseries in Lansdowne Road, West Worthing and later in Glebe Road, West Tarring. 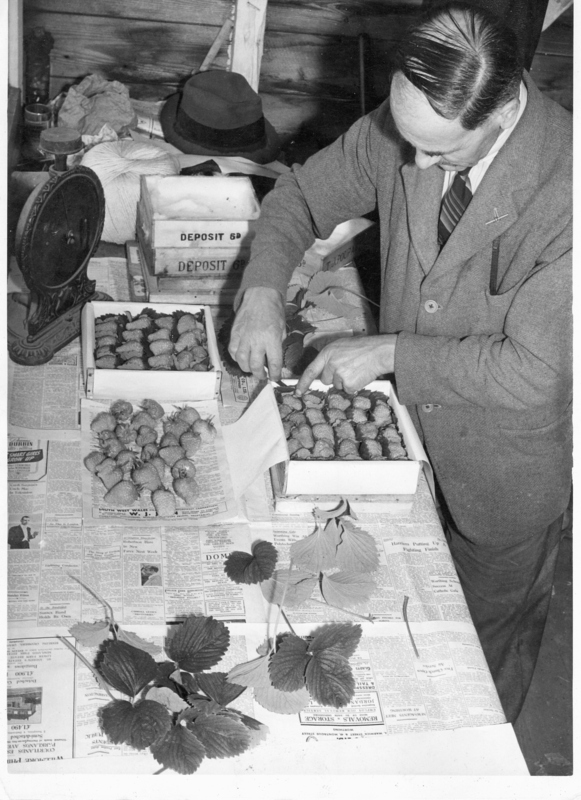 Started by William Magness, who was initially in partnership with Henry Barnwell in Crescent Road, he specialised in early forced strawberries on a large scale which he grew in pots. The pots were placed on shelves, strategically located at different heights along the length of the glasshouses. At one time, William had as many as 40,000 pots of strawberries growing on his nursery at different stages of development. The work was intricate and tough and required a sharp eye to check the plants regularly for pests and diseases, especially aphids and red spider mites. Another arduous task was hand pollination of the flowers using a rabbit’s tail, but hard work and meticulous attention to detail paid dividends when the strawberries were sold at very favourable prices. Even in the early days, William could realise prices as high as £2-2s per lb. at the beginning of the season, but they were expensive to produce. In 1896, the first fruit was picked on January 21 – long before the normal time in mid-March. He would pick regularly from the end of January till the outdoor crop started in June. His most eminent customer was King Edward VII, who had them delivered to him while visiting Ireland. William also had a nursery in Goring Road, but it was sold in the 1920s. Figure 8 Quality care for quality strawberries. Edgar Magness demonstrates the attention to detail that made the Magness name so renowned. William was eventually joined in the business by three of his sons. When all his sons joined up in the First World War, William was forced to stop growing strawberries, presumably because they were so labour intensive. 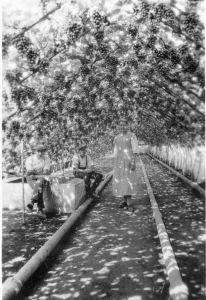 Nevertheless, before he died in 1925, he made his sons promise that one day they would restore the Magness name as quality strawberry growers. They would not disappoint him in the promise they made; in fact, it would prove a shrewd commercial decision. By 1927 they were back in production, and apart from a few setbacks during the Second World War, they continued to grow them for another 30 years. The attention to detail was meticulous: each strawberry was delicately placed onto a leaf which had been carefully laid in the base of a quality wooden tray or small box (called a square). Royal Sovereign was the favourite Magness variety, good for flavour and size, and it would often only need 12 or 13 berries to fill a 1lb. box. Fig. 8 shows Edgar Magness demonstrating the attention to detail that made the Magness name so well known. In fact, the brothers received a letter in April 1934 from Poupart of Covent Garden informing them that the King was so pleased with their strawberries at Kempton Park Racecourse “that he gave orders for them to be taken back to Buckingham Palace”. Praise indeed! The brothers moved to Staunton nurseries in West Tarring in 1933, and continued to grow strawberries and other crops until the 1950s. I have also been in touch with a descendant of James Dutton, who had nurseries in Chesswood Road and on the top corner of Chesswood and Ham Road. 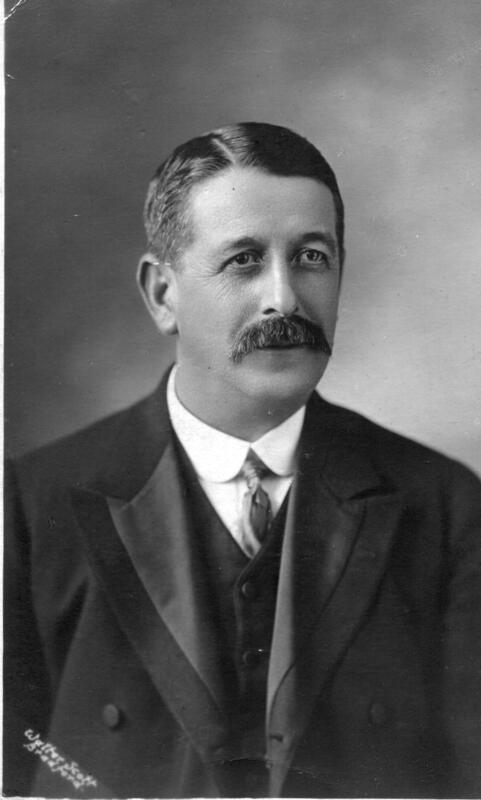 James Dutton was born in Aldershot in 1848. He began his gardening career at Aldershot Place, before moving in his early 20`s to Sussex to take up a new position at Buckingham Park in Shoreham. 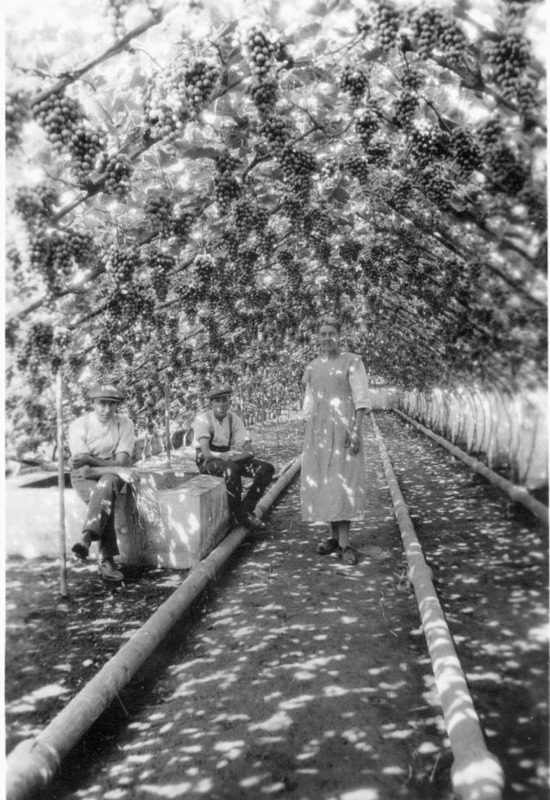 By 1881 James had moved to Broadwater where he worked for Henry Apted who had glasshouses growing grapes, tomatoes and melons, eventually becoming foreman. Sometime between 1881 and 1887 he moved to Ham Road and started his own nursery. He and his wife had eight children and in time his two elder sons worked with him in the nursery. 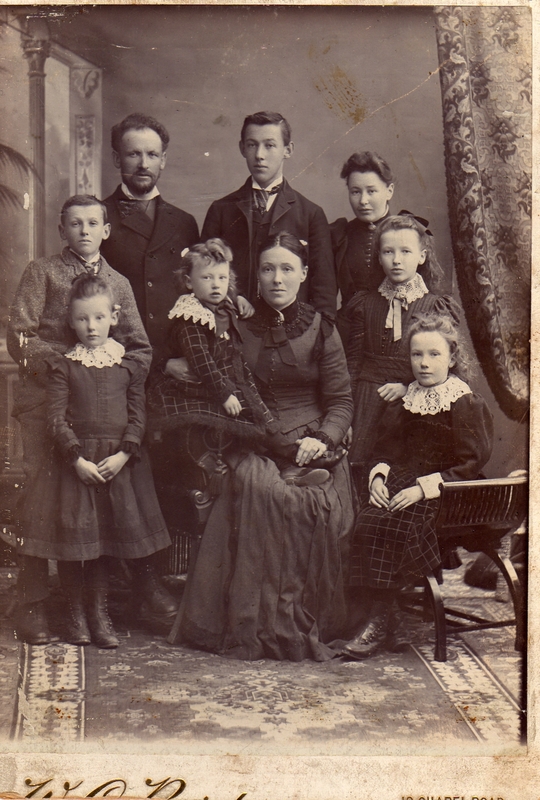 Figure 9 James Dutton and his family, c. 1894. These are a selection of stories I have been very lucky to ‘discover’ during my research project to date, and they hopefully give a flavour of what I am looking for in my search for archive material and more information. I am particularly keen to find more photographs, which bring everything to life in such a vivid and extraordinary way. The scarcity of photos is quite astonishing, but I feel sure there are dozens more somewhere, hidden in draws or attics. I am interested in material from any of the glasshouse nurseries in the Worthing vicinity, whether big or small. I am also very keen to find out more about the early businesses, established in the 1880s and earlier, many of which became quite substantial, with names such as Apted, Baker, Barnwell, Beer, Bushby, Dutton, Feest, Frampton, Greenyer, Hollis, Linfield, Magness, Page, Piper, Purser, Russell, Sams, Scott, and Sparkes. I already have some material about many of these enterprises, but surprisingly, nothing from others who were among some of the best known Worthing growers. They include Pipers, in Chesswood and Ladydell Road, the largest glasshouse firm in Worthing, which closed in 1955. If anyone knows any descendants of these families, I would be delighted to hear from them. 1 A History of the firm of AG Linfield of West Sussex, Fruit Growers, Market Gardeners and Mushroom Producers.Part 1: The Early Years, by Malcolm Linfield in Longshot Vol. 12 No. 2, (April 2008). With special thanks to the following who provided information about their family enterprises and allowed me to copy and use their photographs: Pat and Tony Gray (Stoner), Rosemary Yates (Lyon), the late Jean Godden (Magness) and Pam Stepney (Dutton). It is long gone now but my family business was Feest & Sons which was a Fruiterers, Greengrocers, Florists, Market gardeners & nurserymen. The founder was (I think) William Feest (1808 -1902) . Thanks for this, James. I certainly remember corresponding with you a few years ago about your family’s growing enterprises in Worthing. I’m very pleased to hear you have supplied the West Sussex Record Office with details of your family’s business. In time they should have a significant archive on the history of the Worthing Glasshouse Industry, as more material is added to the original archives donated by the West Sussex Growers Association some five years ago. All my own research work will be donated in due course, and there are already some archives relating to the Frampton and Linfield enterprises which can be accessed. My Great, Great Grandfather was James Dutton. My Great Grandfather Frank is believe it the little BOY on Alice’s lap in the photo. I’m trying really hard to get hold of Mike and Pam Stepney (Dutton) .. Can anyone help me. My Grandmother has the same photo as on your website.. Bless her she has plenty more!! I presume you mean John and Pam Stepney, whom I know fairly well as we are fellow members of the Friends of Broadwater and Worthing Cemetery. Pam gave me copies of a number of photos of the Dutton nurseries some years ago, but I’m intrigued to learn that your grandmother also has some. I would love to see them one day. In the meantime, I will pass on your details to John and Pam whom, I am sure, will be in touch with you shortly.